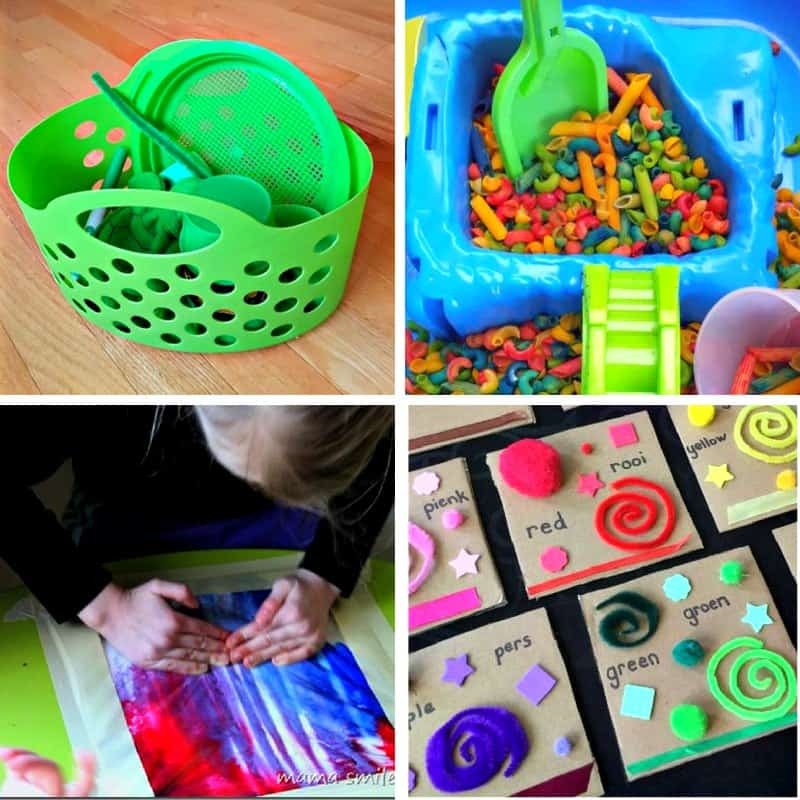 Colors, Colors, Colors! 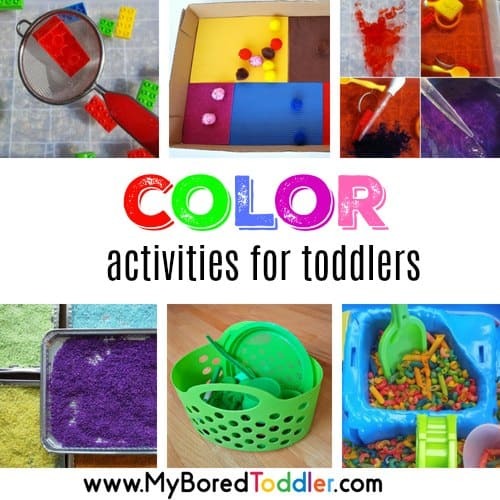 Teaching toddlers about colors is such a fun topic and one that you are really doing everyday. 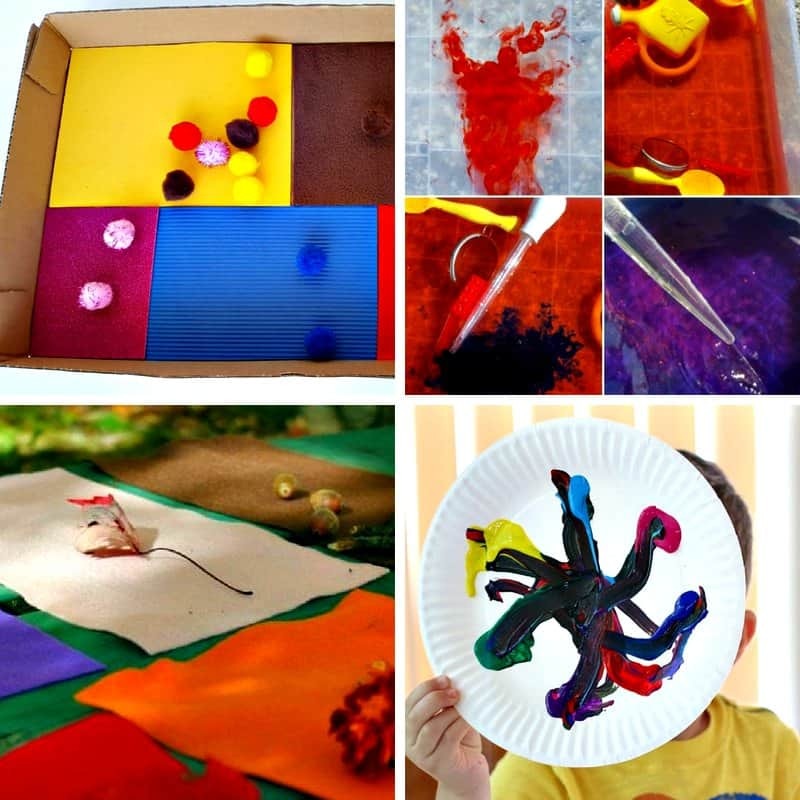 Every time you point out the red car or ask your child to put on their blue jacket they are learning about colors. 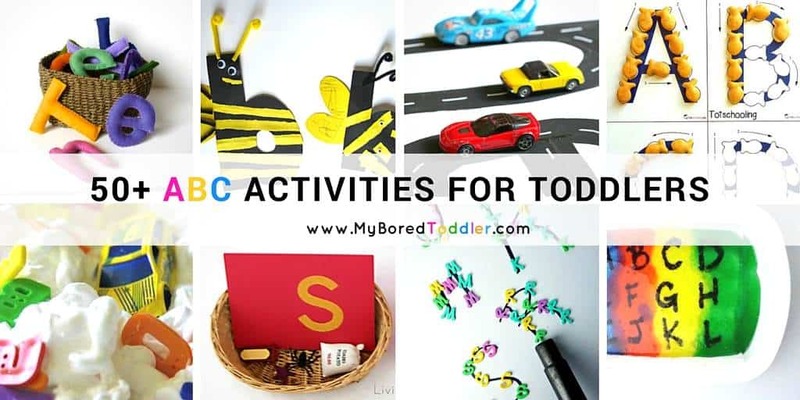 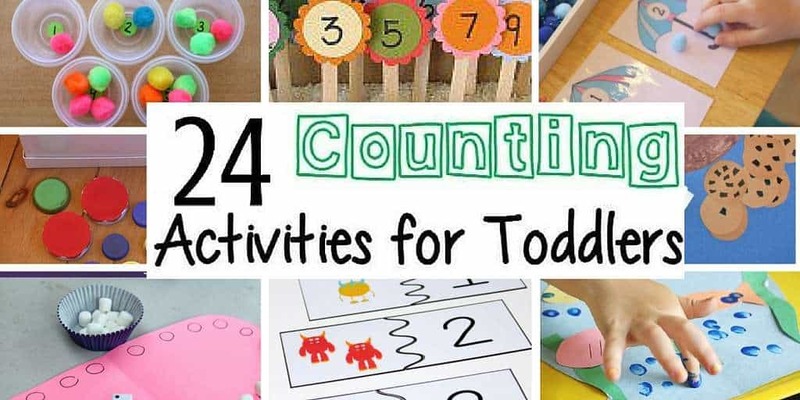 While you don’t really need to ‘teach’ your toddler colors, it’s still a lot of fun to have some color activities for toddlers to enjoy. 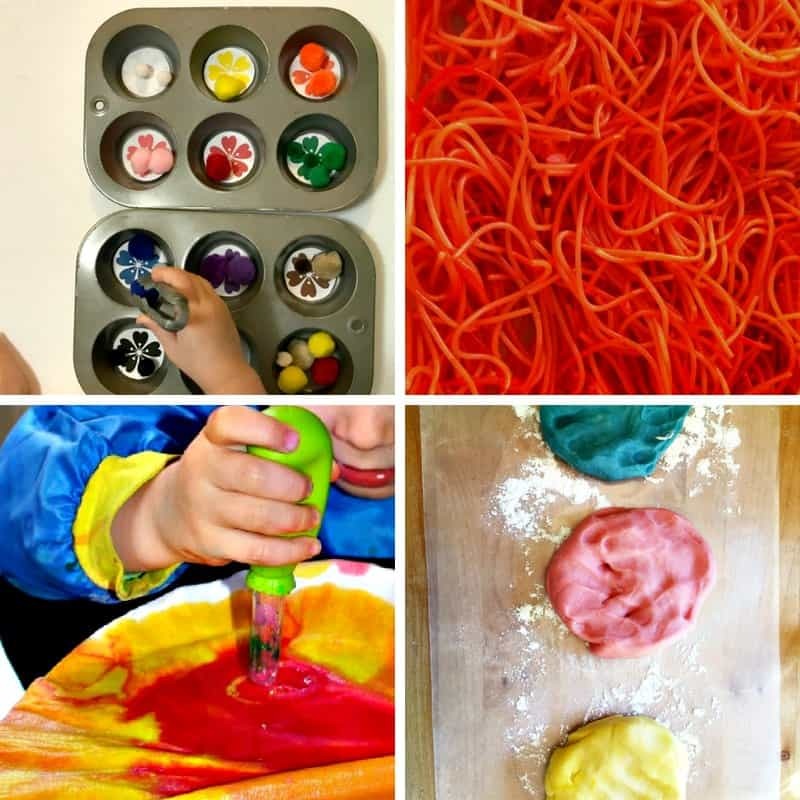 As I mentioned above, colors are something that children will learn through everyday activities. 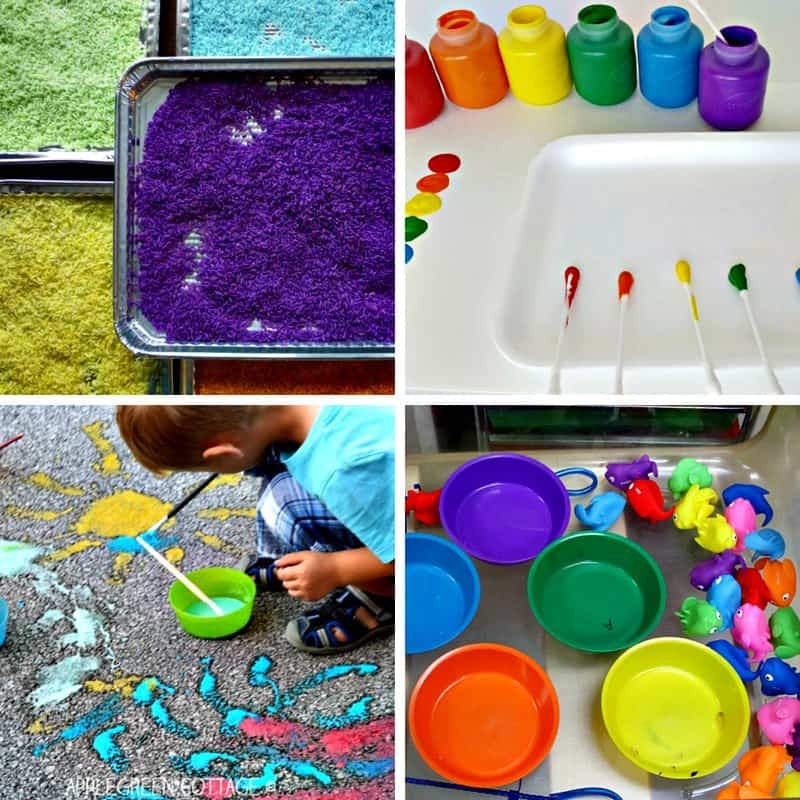 When you point out the colors of the traffic lights, you ask them to get their blue cup or you discuss the color of the sky. 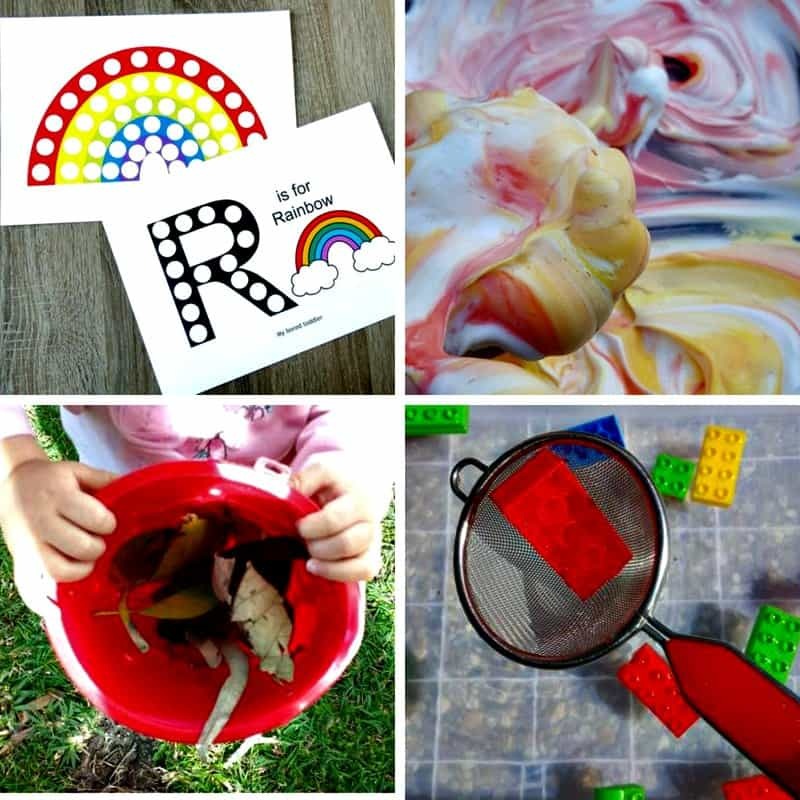 While incidental learning of colors is great, it’s also a topic that’s heaps of fun to explore. 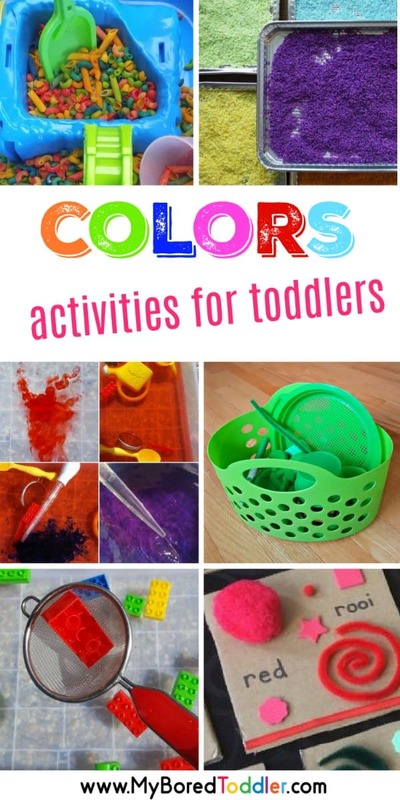 This collection of color activities for toddlers is perfect if you’re looking for a play based way to teach your toddler about colors. 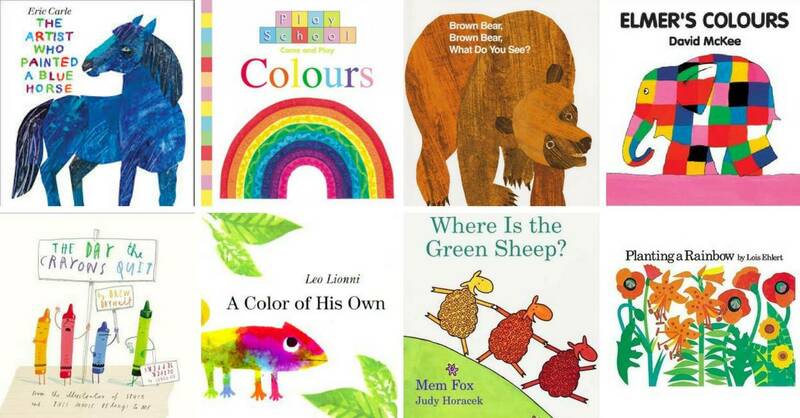 As with every topic I love to ensure we are reading related books and we have put together some great toddler books about colors.